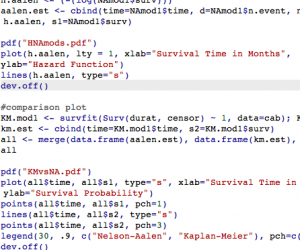 Bob Muenchen provides a nice post comparing the current use major statistical software packages. I like that he (a) acknowledges the limits of R and the GUI, (b) critiques the bizzare number of SAS GUI’s, (c) the respectability of SAS Enterprise Guide. I think some of the benefits of Stata for applied social sciences are underappreciated, i.e., current fav’s – estab and mkspline. 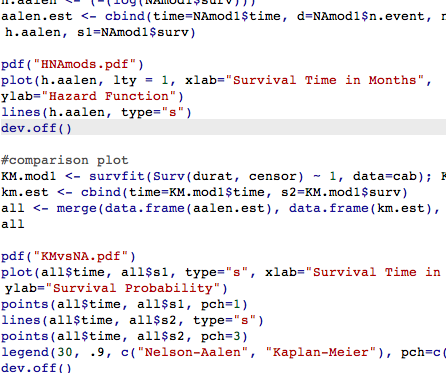 I’ve recently tried to do similar procedures in R and found overly complex. These and numerous other procedures are prepackaged and ready to go for linear models in Stata. Maybe I am too optimistic but I’d like to see all these platforms develop literate programming/reproducible research. And, it’s nice he invites replication and offfers his data. Published by David Rothwell on May 17, 2013 at 11:47 am under Uncategorized. 0 comments.